Sameer Mittal connects business ideas, people and capital. With a unique blend of experience as both an operator and an investor, he is highly sought after for his expertise in starting and scaling businesses, handling complex business challenges and knowing how to source the right type of capital. Through his work with more than 100+ companies to raise more than $600 million in various forms of capital, Sameer has brought the power of his network to bear on some of the fastest growing mid-market companies and scale-up ventures in the U.S. In 2016, Sameer launched Principals Equity with the belief that trust and personal connections remain the bedrock of strong business. At Principals Equity, Sameer leverages his deep relationships and experience to bring financial, operational, relationship building and deal flow expertise to those who work with him. companies in healthcare and biotech, information technology, financial services (assets) and manufacturing as well as selective funds, Sameer led multiple capital deals ranging from $25M to $40M. 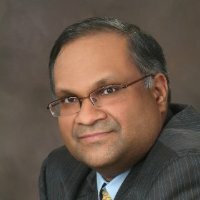 Sameer gained operational expertise as Co-Founder, President & CFO of UK WEST INC. What started with a few thousand dollars in seed funding from Sameer, grew to become a private equity sponsored manufacturing and import firm with more than 700 employees worldwide, with an Asian supply chain and North American distribution serving mid-market customers. The business grew at nearly 40% per year, landing in the top 20% of the Inc 5000. Along with his businesses, Sameer is active in the Young Presidents’ Organization (YPO), where he has been a member since 2010. Sameer has also received a number of honors throughout his career and serves on a number of boards for charitable organizations and businesses.